In 2014, President Joko Widodo won the election for President of Indonesia against his opponent Prabowo Subianto—a former special forces general—by only 6 percentage points, or 8.4 million votes. At the time, “Jokowi,” as he is often known, had secured a voter bloc of 12 million Indigenous Peoples. He campaigned on six commitments related to Indigenous Peoples’ rights under his “Nawacita” priority program. Five years later, as he is seeking re-election in April’s presidential elections against the same political opponent, Jokowi has failed to secure the endorsement of the Indigenous Peoples Alliance of the Archipelago (AMAN)—Indonesia’s largest indigenous network—whose voting bloc has doubled in size since 2014. This is because the Nawacita commitments have not been realized, in particular related to passing a long-awaited bill on indigenous rights; creating an independent task force for indigenous communities; resolving land conflicts on indigenous territory; and protecting indigenous rights defenders. Although about 27,000 hectares of customary land have been returned to 21 indigenous communities in the past few years—in accordance with a landmark Constitutional Court ruling stating that customary forests do not belong to the state—AMAN considers this result far too small. Some 9.6 million hectares of land belonging to 785 indigenous communities have been mapped and submitted to the government for further processing. These lands are critical to Indigenous Peoples’ livelihoods, cultures, and spiritualities. In addition, at least 127 indigenous groups in 10 provinces are facing persecution over unresolved land disputes. And 1.2 million Indigenous Peoples whose territories fall within designated conservation areas are at risk of being resettled by the government, based on a 2017 presidential regulation that gives resettlement as the only option to resolve land-tenure problems inside conservation areas. A similar extremely critical assessment was made by the Agrarian Reform Consortium (KPA), which gathers 153 farmer and fisherfolks organizations from all over Indonesia. 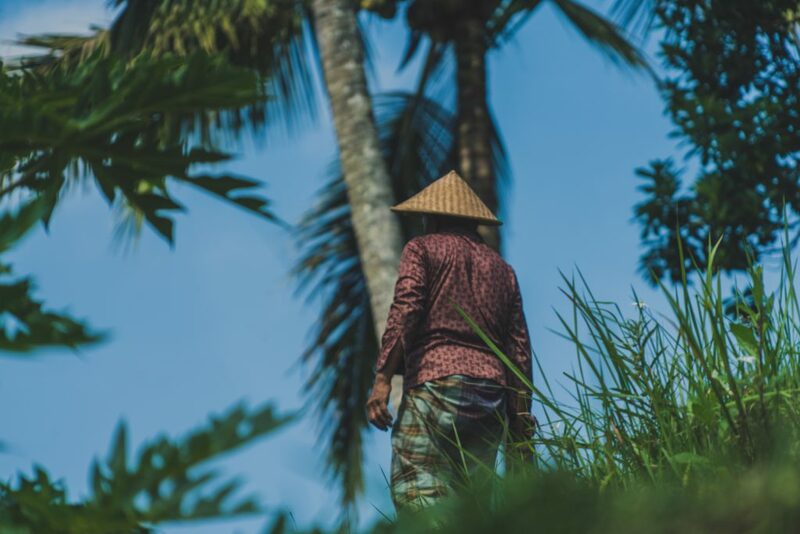 KPA found that at least 410 agrarian conflicts occurred in Indonesia in 2018 on an area of 807,177 hectares, impacting 87,568 households. Throughout the four years (2015-2018) of the Jokowi government, at least 1,769 agrarian conflicts emerged. In 2018, the industrial plantation sector had the highest number of conflicts, with a majority happening on oil palm plantations. The land reform agenda, meant to address land conflicts and inequity in land distribution, has been largely restricted to a land certification program, neglecting the land redistribution that constitutes the heart of the agrarian reform process currently underway. In other words, granting land certificates should be the last step in the process of rebalancing control over land, after expired or abandoned concessions areas have been returned to communities. Otherwise, certification program won’t help resolve conflicts, and will instead legalize the imbalance of land tenure, with 74 percent of land being controlled by only 0.2 percent of the richest people in Indonesia. KPA has been pushing for a bottom-up approach in the implementation of land reform, where targeted locations are prioritized by organized farmer groups claiming the land they are occupying collectively, not by the government seeking “empty and undisputed land,” which is often not suitable for any farming activity. KPA is calling on President Jokowi to end the commodification of land through the individual certification program that is not underpinned by a genuine agrarian reform, and to prioritize land redistribution, including protection for the rights of smallholders, Indigenous Peoples, and landless farmers. Supporting indigenous and community rights is not seen favorably by the private sector, for whom it is easier to negotiate land claims with local authorities rather than indigenous communities. Recognizing Indigenous Peoples’ and local communities’ land rights would require investors to hold direct discussions with the rightsholders of the lands and forests they intend to use. In the upcoming presidential elections, none of the candidates has been able to secure strong agrarian or indigenous mass organizations’ backing. Empowerment and protection of Indigenous Peoples and their rights are mentioned in just 2 out of 260 elaborated points in Jokowi’s vision and mission statement, a significant reduction from the 6 major commitments embedded in the Nawacita that he campaigned on in 2014. On the other side, Prabowo has expressed no particular commitment to support Indigenous Peoples, and only one point is mentioned about the agrarian reform agenda. About the author: Based in Indonesia, Anne-Sophie Gindroz has worked as the RRI Facilitator for Southeast Asia since 2014. She previously worked as Country Director in Mali and Laos for HELVETAS Swiss Intercooperation, and has also worked for SDC, the European Commission, the ICRC, and Swisscontact, advocating for the resource rights of communities challenged by extractive industries and industrial plantations. Follow Anne-Sophie on Twitter at @ASGindroz.